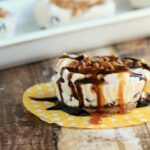 Blueberry Grunt - Frugal Mom Eh! 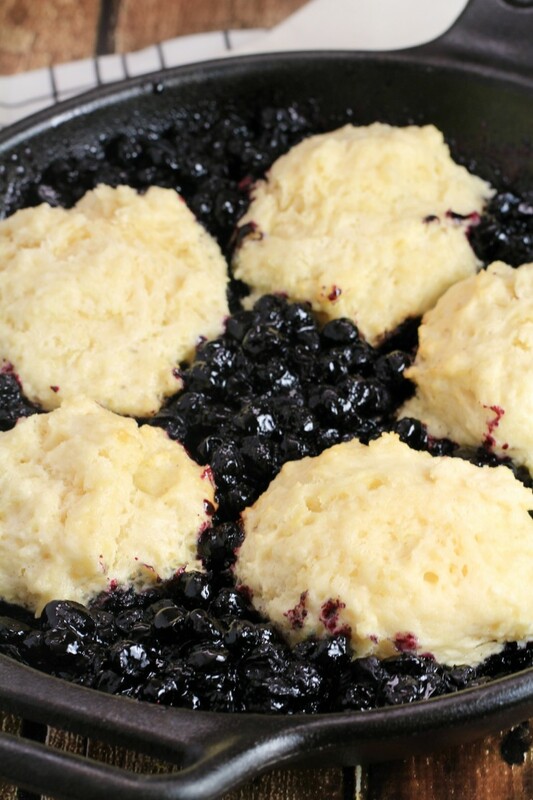 A Blueberry Grunt is a cobbler that is cooked on the stove top or over a campfire instead of in the oven. 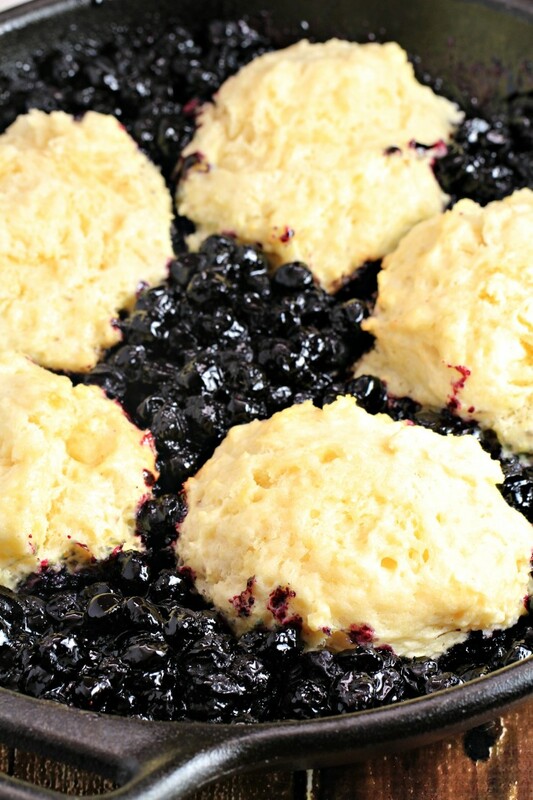 The drop biscuits steam to perfection in a bed of blueberries. 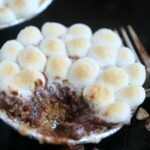 This is a camping recipe that will really have you looking forward to dessert! 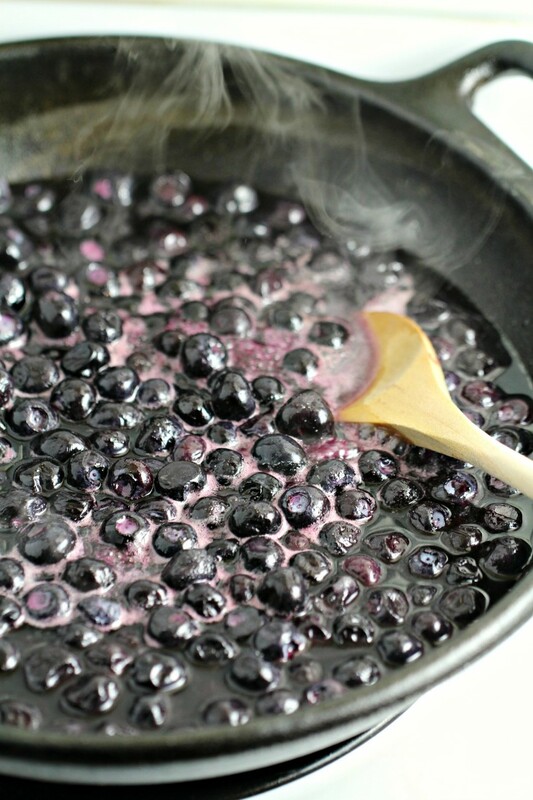 In a cast iron pan, combine the blueberries, sugar, water and lemon juice. Bring to a boil and then reduce to a simmer until the mixture has started to thicken. In a large bowl, mix together the flour, sugar, baking powder and salt in a bowl. Cut the butter into the mixture with two dinner knives then mix in the milk. The resulting batter will be thick and sticky. 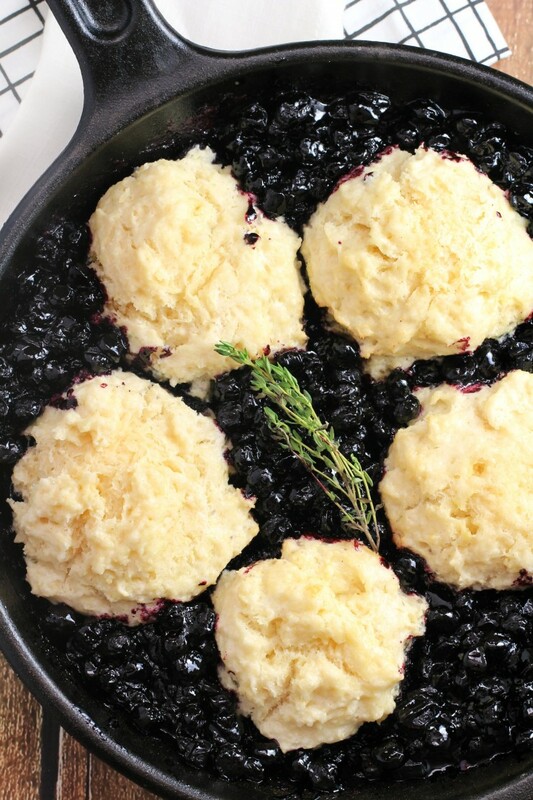 Shape into balls and place them on top of the cooked blueberries. Cover the pan with tin foil and allow to simmer for 17-20 minutes. The tops of the biscuits will be soft but firm to the touch. 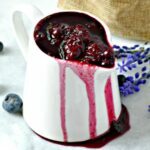 ** Scroll down for printable Blueberry Grunt Recipe. I don’t think I’ve ever had anything like this…..interesting! My grandma used to make this all the time, it has been years since I had it. 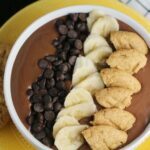 I have to make this!!! 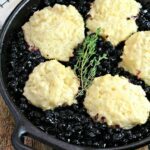 This is a recipe I have heard about but had never actually seen until now. 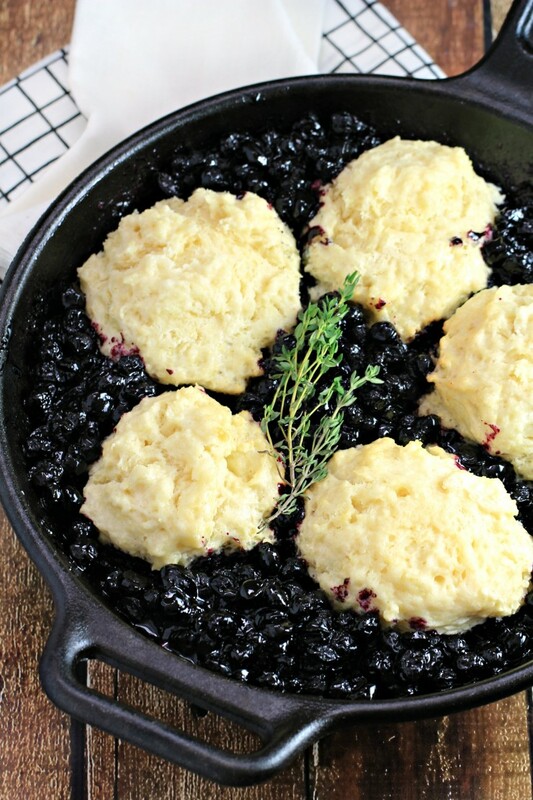 It seems to be a wonderful dish for the top of the stove. 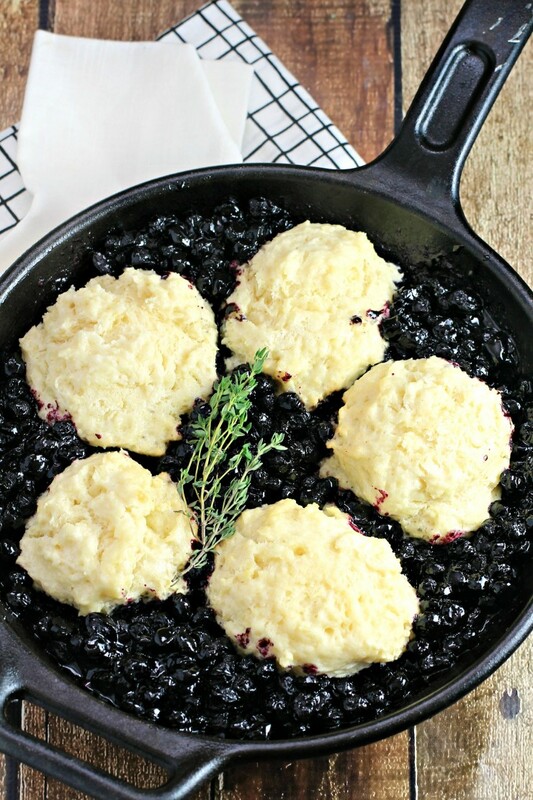 I am hoping to make it as my husband and I love blueberries and biscuits. I know we will enjoy this dessert immensely. I am sure this ‘Blueberry Grunt’ will make a wonderful dessert. Thank you so much for this recipe. I have saved it and thank you for sharing it. I still haven’t made this dessert yet but with frozen blueberries in the freezer, I know that I will this winter and we will enjoy it very much.